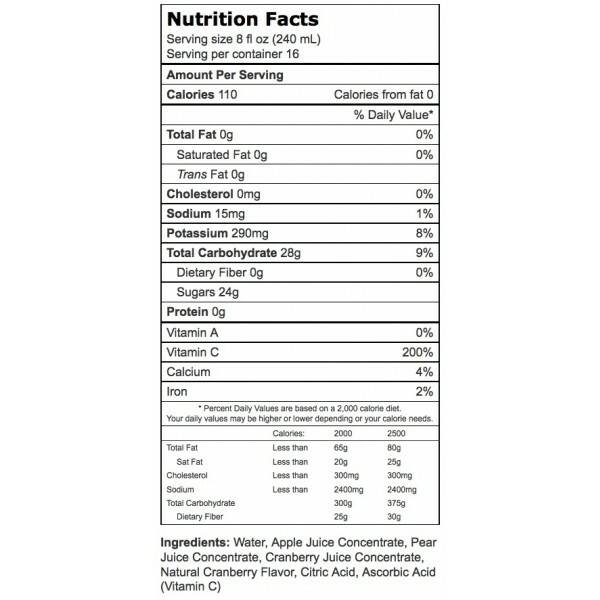 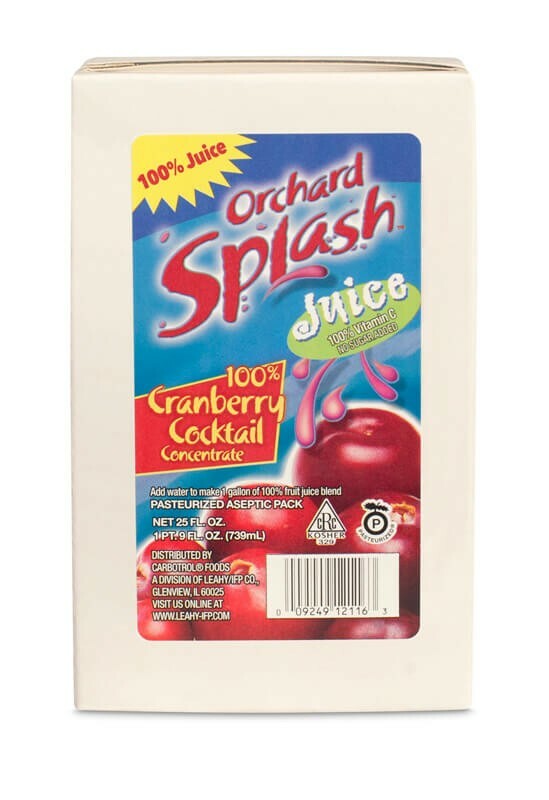 With a deliciously sweet and crisp fruit tartness, 100% Cranberry Juice Concentrate by Orchard Splash, delivers 100% Vitamin C as well as great flavor. 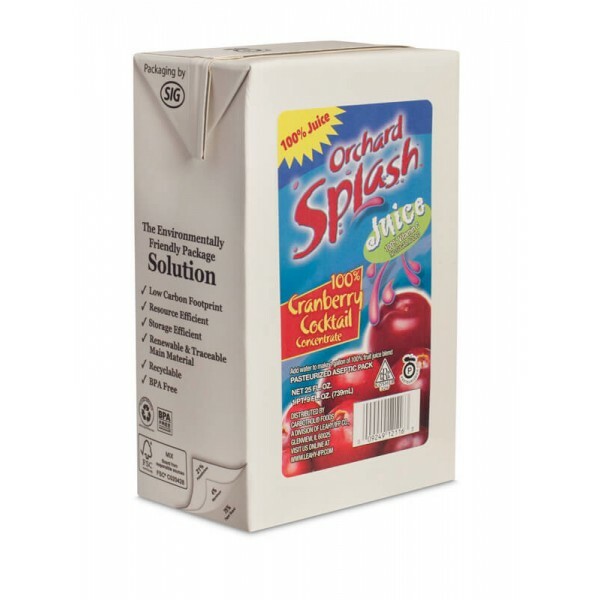 Our shelf stable juice bases need no refrigeration until after opening; simply mix with water to make a gallon of wholesome Cranberry juice the whole family can enjoy. 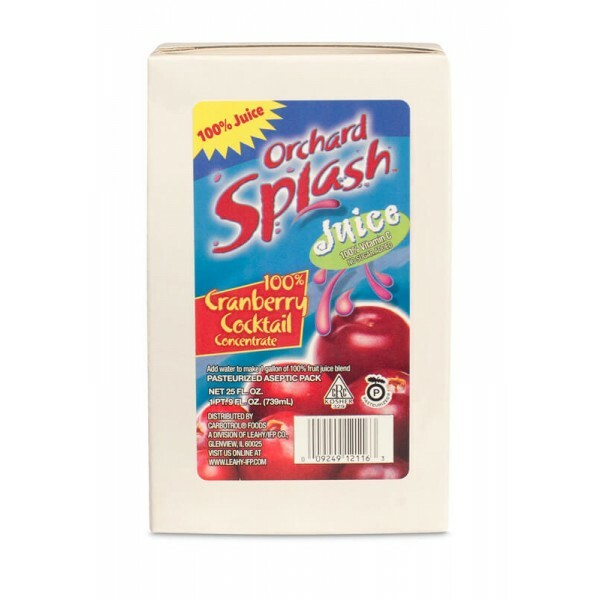 Make Orchard Splash Cranberry Cocktail Juice as directed.